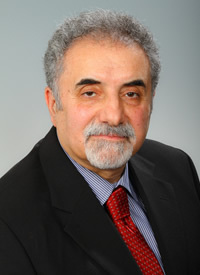 Fereydoun Nikpour holds a Ph.D. in planning and Public Policy from Rutgers University and is a assistant professor at Rutgers, The State University of New Jersey. He holds a M.A. in Urban Development from The National University of Iran (NUI), and M.C.R.P. (Master of City and Regional Planning) from Rutgers. He has an extensive teaching background. He has taught several courses on design and planning at the NUI, and Babolsar College in Iran. He was a founding member of Science and Knowledge Institute in Iran, and served as the Head of its Board for two years. He has offered courses on methods of data analysis, techniques of regional analysis, and urban development. He has received the Rose Award of Distinguished Lecturer from his school in 2007. Dr. Nikpour has over twenty years of experience in urban and regional planning and policy development. He has worked as the member of the central team of the National Spatial Development Plan of Iran led by the Regional Planning Bureau of the Planning and Management Organization. He has also worked with Caspian Associates in New Jersey on a number of planning projects, including development of the National Spatial Plan for the Republic of Haiti. In addition to development of specific plans, his work has included development of the industrial zones in the metropolitan region of Tehran and of the Persian Gulf Islands. He also guided strategic planning for several cities in Iran and served as Supervisor of Housing Affairs in the southern region of Tehran. He has published several articles and professional reports on housing, population, urban design, spatial planning, and urban and regional development in Iran. He has traveled extensively all over the world.